Robert Emmetts: London Senior Hurling Champions 2015! 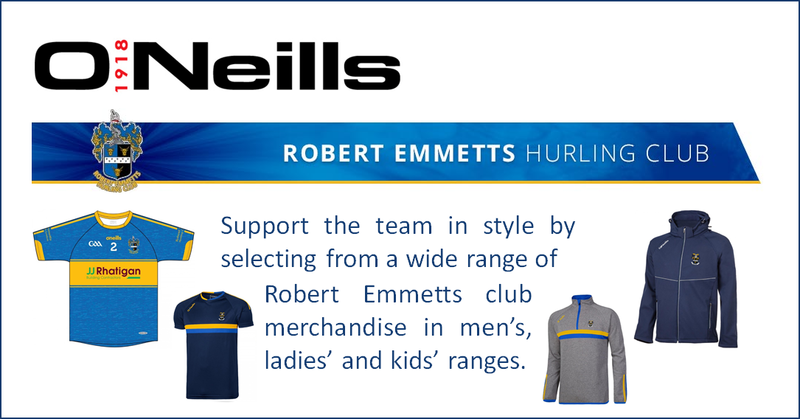 Welcome to the website of Robert Emmetts GAA Club, London - Senior Hurling League, Ryan Cup and Collins Cup Champions 2017! In these pages you can find out about upcoming club events, fixtures, results from our latest matches, team photos and our history as a club. For the most up-to-date information you can also follow us on Twitter (@R_EmmettsLondon) or like our Facebook page. We field a senior hurling team so please feel free to contact us if you would like more information about joining. We are primarily based in north-west London but our players come from all parts of the city and are always keen to welcome new members.